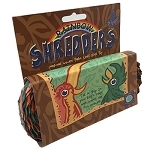 Rainbow Shredders add some color to your bird's destructive ways! Cut them up, put them on skewers, tie them around cage bars, make foot toys! Small is 1" wide in 30-foot rolls. 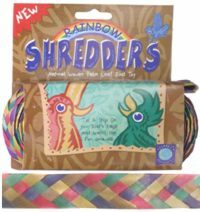 I have never seen shredders with color. I love shopping at Birdsafe. 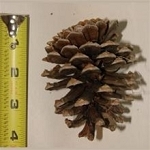 They have great customer service, fast shipping and great prices. I have bought these for my bird Jade for years but this year they smell like mold and she won't go near them. I won't but them again. I think they, by my the manufacture are storing them in dampness.